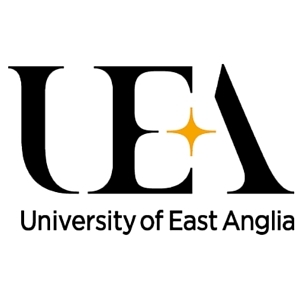 At UEA we believe that meaningful work is key to human happiness, and we see the practice of HR as the practice of improving employee self-development. On this course you will learn how to make a difference to people’s lives and support their wellbeing at work, ensuring that productivity is balanced with quality of life. You don’t need to have studied business or human resources before to excel on this course. You just need to be interested in the field and to be passionate about helping people achieve their potential. You’ll gain an in-depth understanding of the human aspect of business and organisational behaviour. You’ll learn how to build positive human cultures in workplaces, ones that enable people to be more productive and happier. You’ll learn how to inspire people so they can do their best work and feel more fulfilled. It’s an intensive and specialised course that will set the scene for a successful career working with people. You’ll gain subject expertise and practical skills in all the key HR functions. You’ll learn to ask and propose answers to questions such as, how do humans flourish in the work space? What are the best ways to improve performance? How do you keep employees inspired and motivated? How can you increase loyalty? You’ll learn to evaluate and design new ways of working, and new workplaces so people become happier and more productive. Insight into the other business functions is vital for a successful career in HR. For that reason you’ll also gain a broad exposure to related business skills and topics, such as accounting, finance, marketing, management and operations. This enables you to gain insight into the perspective of the people working in those specialisms – essential for your later career. The world of business is global and you’ll find the MSc Human Resources Management has a global outlook, in terms of our culture, our cohort and the course content. You will study your subject from an international perspective, and you’ll work alongside students from all over the world. This enables you to approach your subject from different angles. It also means you’ll graduate ready to succeed in international settings. UEA leads the way in research into wellbeing at work, and makes key contributions to national organisations such as the What Works Centre for Wellbeing. As specialists in this area, naturally we take student wellbeing very seriously. We work hard to ensure all our students have a positive and fulfilling experience, and graduate ready to pursue their ambitions with confidence. Visit the MSc Human Resource Management page on the University of East Anglia website for more details!